Strong, sturdy and durable, the Lemon Drop Dining Table from Zuo Modern is sure to serve you well for years to come. 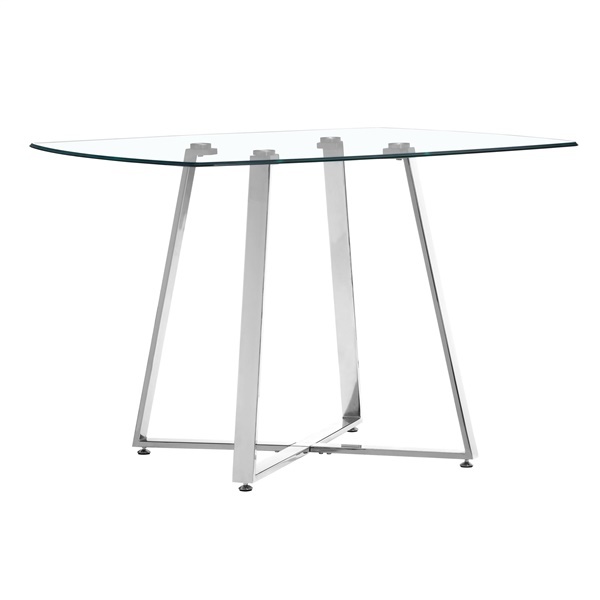 This top-of-the-line dining table features a dazzling chrome steel finish, along with a stunning tempered glass top that offers ample space. In addition, the table looks great in any modern or retro dining room, as it boasts a look and feel all its own. Choose a superb dining table that is perfect in dining rooms of all sizes � the Lemon Drop Dining Table. Blends modern and retro styles beautifully, giving the dining table a one-of-a-kind look and feel. Chromed steel finish helps the table dazzle day after day. Tempered glass top is both glamorous and practical. Includes a spacious round tabletop. Unfortunately the manufacturer is only able to make this item in the size as shown.